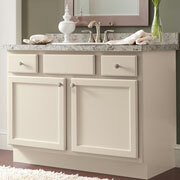 A bathroom remodel should be an exciting project for both the trade professional involved and the client. Our goal at ProSource® of Houston-Sugarland is to provide the products and support that will help make this project a dream. From the smallest details to the focal points of the bathroom, we are here to help trade pros access premium bathroom remodel products at wholesale pricing. 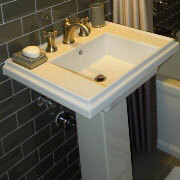 A frequently used component of any bathroom, a sink should be durable while offering a stylish accent to the room. From traditional bathroom sinks to stunningly modern designs, we can help you choose the right piece for your client’s bathroom. Sometimes it is truly the small details that help to set a remodel apart. 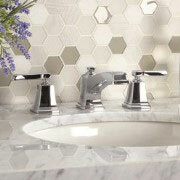 Be sure to speak with our team about the beautiful bathroom sink faucets we offer. From simple designs to bold statements, a sink faucet is more than just utilitarian. Everyone has their own unique preferences when it comes to how their shower operates and looks. From single head showers to head, handle, and faucet options, we provide showers to match each personalized need. From stunning vanities with ornate mirrors and lights to simple units designed to maximize space, our selection of vanities can assist in making a bathroom remodel a true success. Talk to your client about implementing this classic piece into their bathroom redesign. Some features of a bathroom stand out from the rest. A new tub can be the stunning masterpiece that pulls a bathroom remodel together. 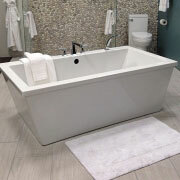 From deep, stand-alone tubs to jacuzzi luxury units, we can help you choose the right tub for the design of the room. While a toilet might not take the spotlight, it is both a functional component of a bathroom as well as a piece of the design. 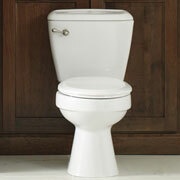 Consider a toilet upgrade as you put together a new bathroom style.